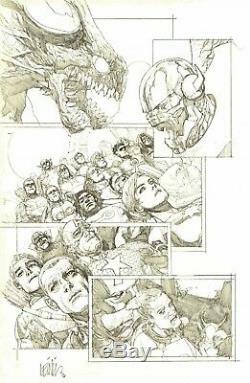 A beautiful page of 2013 Avengers original pencil art by comic book artist Leinil Yu! This is the original pencil art to Avengers # 18, page 8 and features Captain America, Captain Marvel, Thor, Hawkeye, Spider Woman, Wolverine, Annihilus, the Brood. On this page: Members of hundreds of galactic races join forces with the Avengers and Earth's heroes to confront The Builders before they annihilate Earth! See color scan of published page for more. 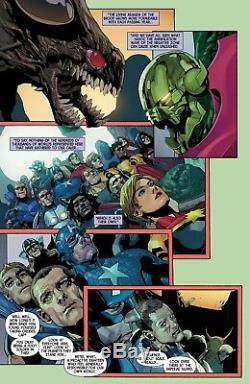 The art on this page was penciled by Leinil Yu! Leinil has signed the art on the bottom of the page! 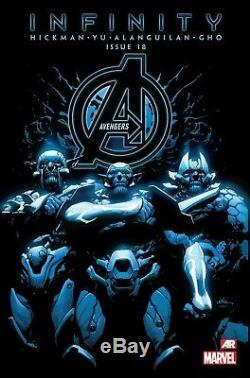 PLEASE NOTE: This is an original, hand drawn piece of published Avengers art, not a print, copy or facsimile! This 11 X 17 inch page of art on bristol board is in excellent condition and would make a great addition to any Avengers, Captain America, Captain Marvel, Thor, Hawkeye, Spider Woman, Wolverine, Annihilus, the Brood or Leinil Yu collection! It could also make a GREAT GIFT! These charges are the buyers responsibility. And, check out my other auctions for great original comic book art! The item "LEINIL YU SIGNED 2013 AVENGERS ORIGINAL ART-CAPT. MARVEL, THOR" is in sale since Sunday, February 3, 2019. This item is in the category "Collectibles\Comics\Original Comic Art\Interior Pages". The seller is "stevo861" and is located in Fort Lauderdale, Florida. This item can be shipped worldwide.